Where it all started. How the addiction began! A city known for its culture, industry and cuisine, Valencia is located on the eastern coastline of Spain. Paella is a regional rice and seafood or rice, meat and vegetable dish that originated near Lake Albufera near the coast in Valencia, but it is identified worldwide with Spanish cookery. The Valencia festival, Falles, honoring Saint Joseph is also known internationally. Falles features Paella at its finest. One of the most famous landmarks of Valencia is the City of Arts and Sciences, a museum complex with spectacular, contemporary architecture. Convention centers, five-star resorts and the richness of culture, history, architecture and coastal holiday luxury brings many visitors to the city each year. Soldiers who fought Viriatus, an Iberian antagonist, settled Valencia in the 2nd century B.C. They named the city Valentia, the Roman name for the practice of honoring soldiers for valour. After the Romans, Visogoths, Moors, Catalan and Aragonese each took their turn occupying the city. Ruins and architecture from each era can be found throughout the city. By the 15th and 16th century A.D., Valencia was a principle port on the Mediterranean. In 1478, a printing press in the city turned out the world's first Bible in a Romance language, the famous Valencian Bible. Bankers in Valencia funded Queen Isabella in Castile to send Columbus on his voyage in 1492. 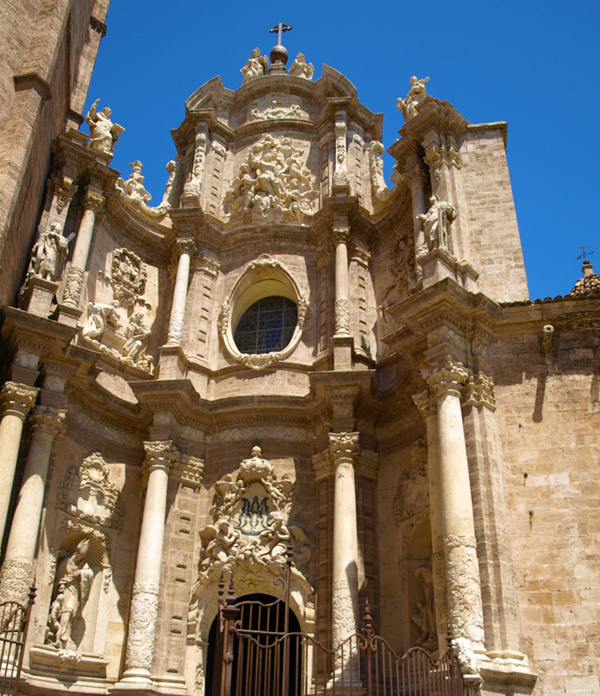 Among the many architectural wonders to visit while in Valencia, some of the most prominent are the Cathedral of Valencia, where its is said by some to contain the original Holy Grail and other area medieval churches, and the squares where government, historical buildings, and fountains stand. Plenty of hotels and apartments in Valencia are available is this part of town. The City of Arts and Sciences is nestled into the Turia riverbed. The diverted river no longer floods the area because of the diversion in the 1960s after major flooding occurred. 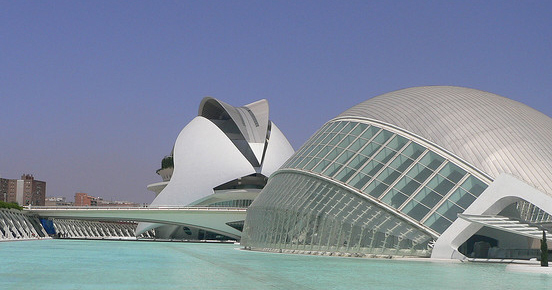 Valencia's own Santiago Calatrava designed the City of Arts and Sciences displaying stunning structures such as L'Hemisferic housing a planetarium, laserium and IMAX. The museums in the City of Arts and Sciences include many venues. El Museu de les Ciencies Principe Felipe has three floors with an outer shell like a whale skeleton, an interactive science museum. Palau de les Arts Reina Sofia is an opera and music hall most extravagant. L-Oceanografic is the largest aquarium in Europe and features sea life from the Mediterranean, from coral reefs, polar areas, schools of fish, and more. Other museums include such as a bullfighting museum, an art museum, and some history museums. Valencia is a city offering much diversity for residents and visitors to enjoy. The lovely Mediterranean climate gives the region hot, dry summers and mild winters. The two official languages of the city are Castilian and Valencian, but these languages are similar. Visitors can experience the art and culture of the old quarter. A Gulliver's playground for children is near the City of Arts and Sciences. Still, while on the beautiful coast, everyone should take some time for fun and relaxation on the city beaches or those larger beaches nearby. Valencia apartments, Grand hotels and affordable resorts are available near the seaside.